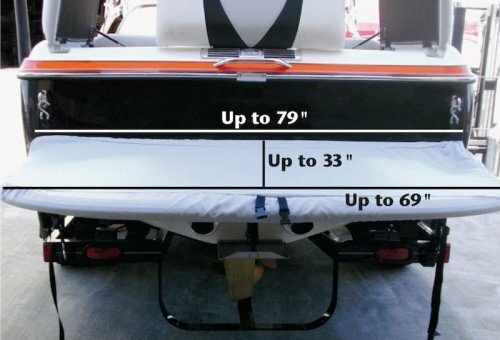 Need a cover to protect your swim platform when your boat is stored? Look no further. Our universal swim platform cover will fit any swim platform that is within the following dimensions: 79 inches wide at the stern, 69 inches wide at the outside edge of the platform, and up to 33 inches deep. Two attached adjuster straps and shock cord in the hem ensure a snug fit against the swim platform. Ships within 5 business days. Made in the USA.